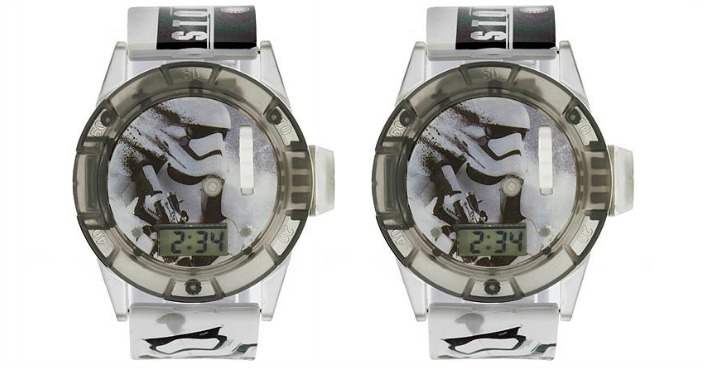 FREE Storm Trooper Projection Sound FX Watch! You are here: Home / Great Deals / Christmas Deals / FREE Storm Trooper Projection Sound FX Watch! Sears has this Storm Trooper Projection Sound FX Watch on sale for $6.99 (Reg. $10) and you can get back $7.06 in Shop Your Way points, making it FREE! Final: FREE PLUS FREE Shipping!